This Product Ships the Same Day when in stock. Contact Customer Service for Returns of this Product. Welcome to Graves RC Hobbies – your online hobby store and one-stop shop for remote controlled airplanes, helicopters, boats, cars and much more. Here at Graves RC Hobbies, we carry more than 27,000 different stock items, including almost any and every part of hobby toys you can imagine. Our strong selection of remote controlled vehicles ranges from RC airplanes and RC helicopters to RC cars and RC boats. Free Standard Shipping on Orders over $99.99! Same Day shipping on all in stock items ordered prior to 1 PM EST. 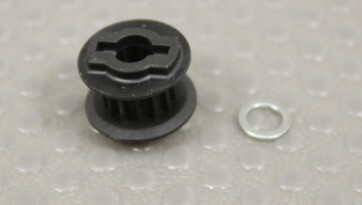 We carry most parts for RC equipment we sell in Stock.